…Who keeps on sending me begging email, even (or especially) five minutes after I’ve dropped a few more bucks. I care about politics. By all the noodly appendages of the FSM, y’all know that, right? I genuinely believe this is an existential election, one in which it’s not enough (though vital) to take the presidency. We need the Senate, and we pretty close to need the House, which we are unlikely to get, alas. It takes dollars to do all that, I know. I understand that you don’t get if you don’t ask, which means the campaigns gotta try. But I hit the breaking point yesterday. My wife and I had decided to drop our last contributions in a flurry of mixed support and magical thinking (this $10 bucks to whoever will propitiate the electoral gods…or this one…or this on…). I allowed all the emails from all the campaigns we’ve given to over the last year, plus all the campaigns and PACs folks who bought my info from someone I actually support, to accumulate over a few hours. There were more than 200. I ended up sending off a cash to Hillary, the DSCC, the DCCC, and the top Senate races I’ve been following — PA, NC, NH, MO, NV. YMMV, but that’s where I completely unscientifically decided to put what final $s my wife and I figured we could spare. Deleted all the emails. Exhaled. Within a few minutes — really — more rolled in. No surprise; why should the folks I didn’t give to stop — how could they know I’m tapped out? But still, I was getting tired of the whole thing when I noticed within not that long yet more email from some of the folks I’d just given to. I snapped. I don’t want much. Maybe a three hour window between last contribution and next ask? (I’d prefer 24 hours, actually, but I’ll take what I can get.) And perhaps a little less agony in the subject lines? Every now and then, maybe a positive note — even something like “let me tell you how we’re going to put each new dollar to use”? But sweet Jeebus on a corndog, it’s not just the sheer awfulness of the campaign on the other side, nor the grotesque reality of racism, sexism and misogyny, anti-Semitism, the power of post-truth ideology, the failure of the elite media, and all the rest of the horrors the Trump freak show has dragged up from the shadows. I’m ready for this to be over so that all my first-name email friends quiet down. Just a bit. *Yeah. I’m a Masshole. I wear it proudly. 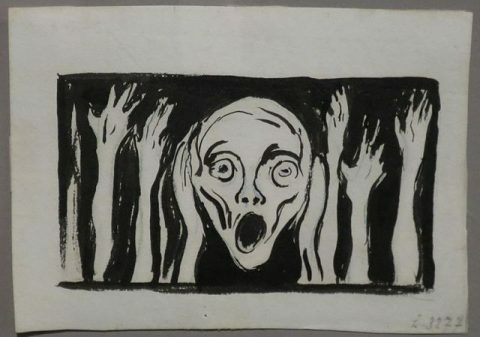 Image: Edvard Munch, The Scream, undated drawing. Caution: bad tempered vent to come. Coors is the target, and their advertising goons. Avoid if such old-fogeydom annoys you. I love science. I really love technology. I’m a toy and gadget freak. I think it is amazingly cool that a bit of engineering mojo produces stuff like this. Excuse me. Just say it. Time to chug. Pity the poor team, up against the launch deadline, doing their 18/7s, working out the perfect size and shape and airflow and the rest, and then suddenly looking up and realize that their accumulated decades of person-years of study and experience had just been devoted to the task of speeding frat boys (superannuated, if the ad series is to be believed) towards their desired level of alcoholic coma. All those problem sets and robot labs for this? Just for the record: it’s not beer that’s the problem (though it remains an open question how much violence one does to the language by calling Coors “beer”); what bugs me is the sheer mindlessness of the product differentiation game being played here. Does anyone out there really care about the hole in the top of their beer cans? If you want to gulp it down faster…just put it in a plastic cup or ten. Otherwise, just shut up. 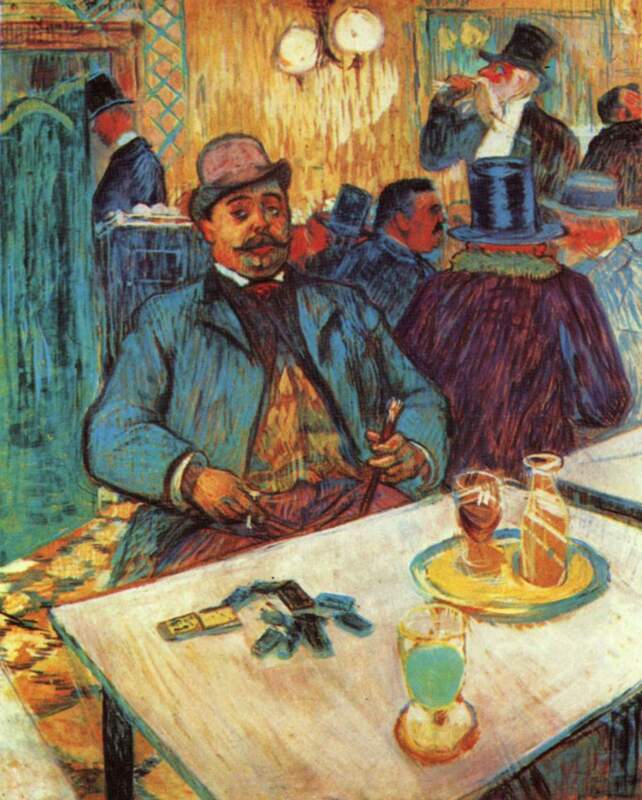 Image: Henri de Toulouse-Lautrec, “Monsieur Boileau,” 1893. Image: Wikimedia Commons. Categories: bad ideas, Engineering, ridicule, Who thought that was a good idea?